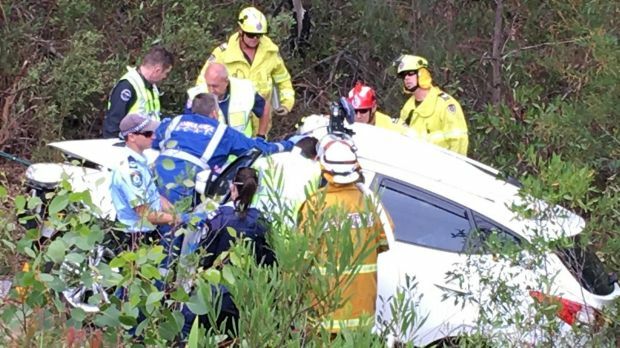 (by Associated Press, Jan. 16) SYDNEY — The father of a teenager who spent 30 hours trapped in a car wreck in Australian woods said Tuesday he had followed his intuition by hiring the helicopter that found his seriously injured son. Samuel Lethbridge with his sister Megan. His father, Tony Lethbridge, said he suspected his son may have been in a car wreck when he did not return by Sunday night to the family home at Lake Macquarie, after a Saturday night out with friends in Sydney, 130 kilometers (80 miles) to the south. The father said he hired a helicopter on Monday morning and the car was spotted in scrub off a highway 20 kilometers (12 miles) from home. Emergency services cut the boy from the wreck 30 hours after the accident, the father said. “Everybody was saying: He’s probably run away and all that kind of stuff. That’s just not Samuel,” Tony Lethbridge told Seven Network television. The father recalled that a victim of an earlier crash in the area had died after not being found within five days. “I wasn’t going to let that happen,” he said. 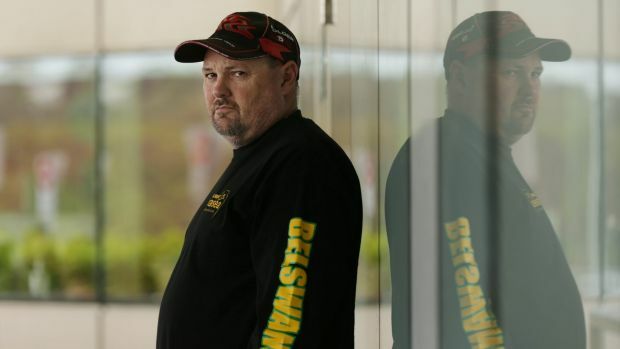 Lee Mitchell, the helicopter pilot and part-owner of Skyline Aviation Group at Lake Macquarie, said he discounted his usual helicopter hire rate of 1,200 Australian dollars ($956) an hour when the father explained his plight. “He came in looking anxious and somewhat fatigued and said he needed helicopter bad,” Mitchell told the AP of meeting Tony Lethbridge midmorning on Monday at the Port Macquarie airport. The father said he had reported his son as a missing person to police and explained his fears of a car accident near home. “He just said: ‘I’ve got A$1,000 ($797) on me, will that be enough?’ and we said: ‘Yes, it would,’” Mitchell said. The helicopter took off soon after with the boy’s uncle Michael Lethbridge aboard, because the father was prone to air sickness, the pilot said. The car was spotted within 15 minutes of flight, about 20 meters (yards) off the road, Mitchell said. “It was fairly easy to spot from the air. It would’ve been near impossible to see from the road because it was well below the road level,” Mitchell said. The uncle was the first to reach the car. “I really didn’t want to go. I was scared of what I’d find. As I got closer I seen Sam’s head move,” Michael Lethbridge told Melbourne Radio 3AW. “I went from being terrified to ecstatic in a couple of seconds,” he said. Mitchell was hovering overhead when the uncle signaled that the boy was alive. “We were overwhelmed. It was a great outcome. We’ve done a lot of search and rescue stuff in previous years and they don’t always turn out so favorably,” Mitchell said. 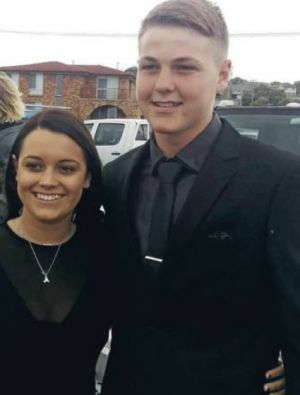 (by Max McKinney at Sydney Morning Herald, Jan. 18) – The helicopter company involved in the search for missing teenager Samuel Lethbridge has returned the money the 17-year-old’s father paid to launch a desperate hunt for his missing son. “When Tony first came to the office our CEO wasn’t here so our staff offered our services for as long as required for the $1000 offered, and we launched the helicopter in good faith and without payment,” director Lee Mitchell said. However, once their son had been taken to John Hunter Hospital on Monday, Mr. Lethbridge and his wife returned to the airport to pay for company’s services. But on Wednesday, Skyline Aviation made the decision to immediately return that money to the family. “Under the circumstances we believe there has been enough stress on the family and that any additional financial stress was unwarranted,” Mr. Mitchell said. Mr. Lethbridge told Fairfax Media on Thursday his son had been released from intensive care and his condition was slowly improving. Surgery to fix his arm on Wednesday had been successful but further surgery to his injured leg would be required on Friday. Sam’s sister, Megan, also posted a Facebook tribute to the helicopter company. “Just wanted to let everyone know as if skyline aviation hasn’t done enough for my brother and family, they have refunded the $1000 to my family for the flight to find my brother,” she said. “It’s hard to believe that there is still some wonderful people in this world.